RIO DE JANEIRO, Jan. 31 (Xinhua) -- The death toll in the collapse of a tailings dam in Brazil's southeastern state of Minas Gerais has risen to 110, with 238 still missing, the state civil defense authorities said on Thursday. Of the 110 victims, 71 have been identified, according to the civil defense. Another 108 individuals have been evacuated from their homes due to the sludge and residue slide. The number is lower than the 175 reported on Wednesday. "The number of evacuees is lower because some services were restored and some people returned to their homes," said Flavio Godinho, deputy coordinator of Civil Defense of the Minas Gerais, during a press conference. Rescue efforts came to a halt Thursday afternoon due to fears of heavy rainfall in the region. However, the rainfall never materialized and rescue efforts resumed. 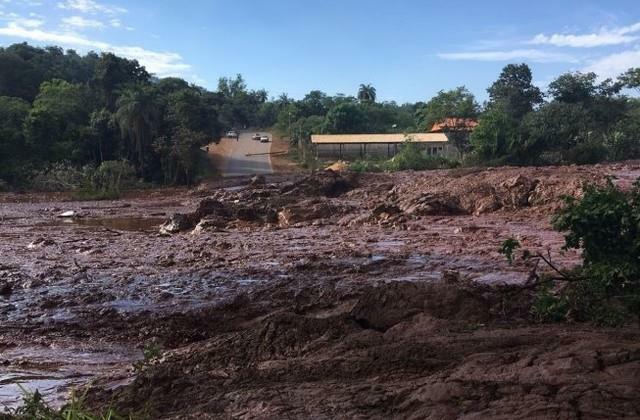 The catastrophe, considered one of the worst in Brazil's history, happened on Friday when the tailings dam owned by Brazilian mining company Vale collapsed and sent 13 million cubic meters of sludge and mud down the hill. A nearby community, Vale's administrative center and its cafeteria where there were hundreds of people eating, were buried by the mudslide.